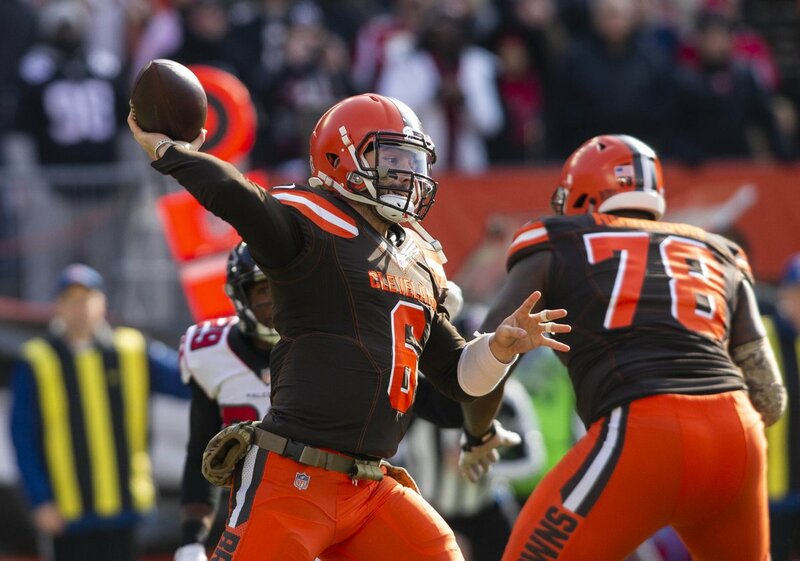 The Browns are coming off a great end of the season winning five of their last seven games, and a huge part of that reason was the play of rookie QB Baker Mayfield. This week Mayfield is one of many NFL players down in Atlanta enjoying time at the Super Bowl doing the media tour, and today he spoke with Skip Bayless and Shannon Sharpe on FS1’s ‘Undisputed’ about the season and a whole lot more. Here’s some quotes from his chat today with the pair as he looks ahead to Saturday night when he may wind up being named the NFL Rookie of the Year.